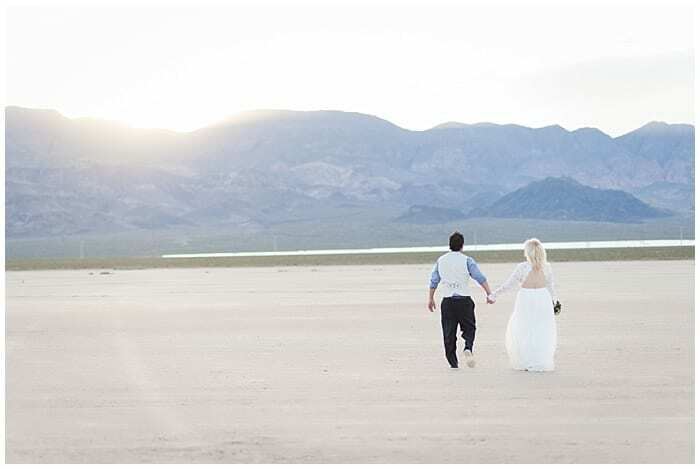 April and Edwardo picked the serene El Dorado Dry Lake Bed for their wedding ceremony. After telling their family they were getting together for family portraits, the couple surprised them with the news that they were actually getting married! This smitten couple had been dating for five years but actually met seven years ago at work. April says Edwardo had to pursue her for a long time before she caved and gave him a shot. Sometimes the best things are worth waiting for! Edwardo proposed on Christmas Day in their living room with their two children present. It was important to have family present on the big day as well so they spent the day driving their family around and entertaining them leading up to the surprise ceremony. April wore a full length white gown with beautiful lace sleeves. You would never know she bought the dress on a whim! She says during the ceremony Edwardo didn’t take his eyes off her, like he was seeing her again for the first time. 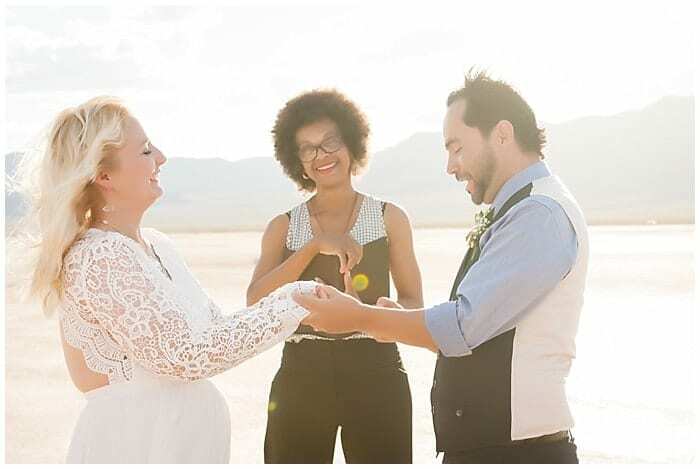 Like most of our other couples their best advice to those planning a wedding is to hire a coordinator and focus on the type of wedding you want to have instead of what everyone else wants. Congrats to this happy couple!